Ranking member of House Judiciary subcommittee, says, apropos Charlottesville and Trump's apparent defense of the white nationalist fomentors there: "There are no good Nazis. There are no good Klansmen." 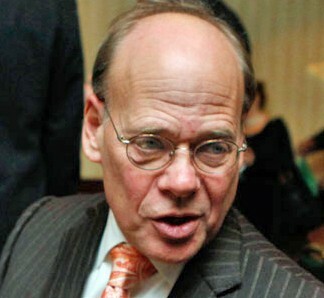 ke of Charlottesville and President Trump's apparent defense of the white nationalists who were the focus of disturbances there, Memphis Congressman Steve Cohen, ranking member of the House Judiciary subcommittee on the Constitution and Civil Justice, announced Thursday morning that he will introduce articles of impeachment against the President. “When I watched the videos from the protests in Charlottesville, it reminded me of the videos I’ve seen of Kristallnacht in 1938 in Nazi Germany. It appeared that the Charlottesville protesters were chanting ‘Jews will not replace us’ and ‘blood and soil,’ an infamous Nazi slogan, as they marched with torches that conjured up images of Klan rallies. None of the marchers spewing such verbiage could be considered ‘very fine people’ as the President suggested. As a Jew and as an American and as a representative of an African American district, I am revolted by the fact that the President of the United States couldn’t stand up and unequivocally condemn Nazis who want to kill Jews and whose predecessors murdered 6 million Jews during the Holocaust, and could not unequivocally condemn Klansmen whose organization is dedicated to terrorizing African Americans.